I think these are the best wedges in the world! 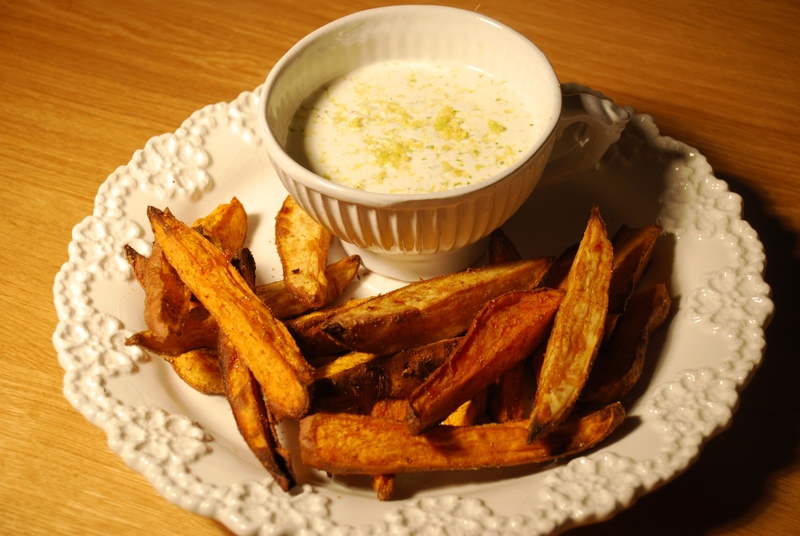 I come from Australia, where bonding with good friends often occurs over potato wedges with sour cream and sweet chili sauce. After moving to the UK or even now in NYC always wondered why the rest of the worlds cafe’s don’t do those yummy potato wedges that we can find every where in Oz. I stumbled across this recipe in Ottolenghi’s amazing fantastic book Plenty. I have to say they made me fall further in love with Sweet Potatoes then I had ever thought possible. I used to make a variation of these wedges, with just salt and chili powder, but the addition of coriander powder is pure genius. You can count on it that these lovelies will disappear pretty damn fast when you make them. The other amazing thing is that these will be ready in a jiffy not involving much labor at all, all you do is cut them up into wedges and mix in the olive oil and spices and bake. I also added a tiny bit of cayenne pepper to mine before baking. I baked mine for a bit longer as I like them to go a little crispy, but check them after 25 minutes, I baked mine closer to 35 minutes. For two people I would say make 500g of sweet potatoes. 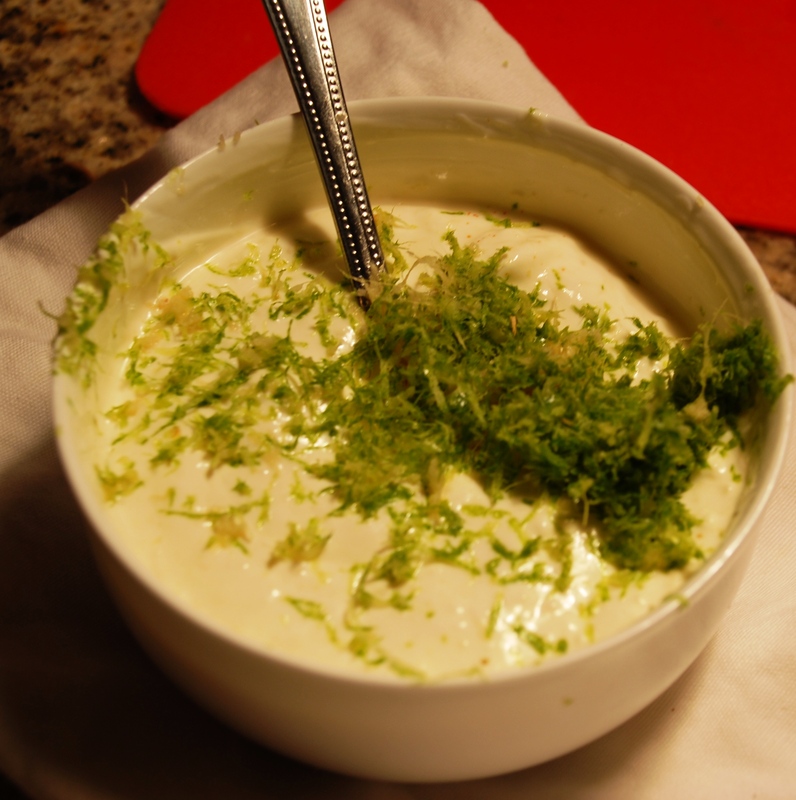 The lemon grass and lime creme fraiche with ginger will just blow you away. Never fear if you like me, can’t find creme fraiche so easily in NYC, just substitue some sourcream and a tiny bit of yoghurt. I did add a bit of lemon zest too at the end, just thought it looked really pretty with the lime and lemon zest on top, I also added a chopped red chili to the dip as I like a bit of a kick, goes well with the zing of the lime. They smell glorious when baking, great when you have a few friends over or just for one or two. In my enthusiasm to eat these babies up, I just forgot to sprinkle the fresh coriander and chopped chili on top of the wedges before serving. Trust me it tasted divine even without, but will try and remember for next time! Wash the sweet potatoes but do not peel them. Cut every potato in 8 wedges. Cover an oven tray with baking parchment and brush with olive oil. 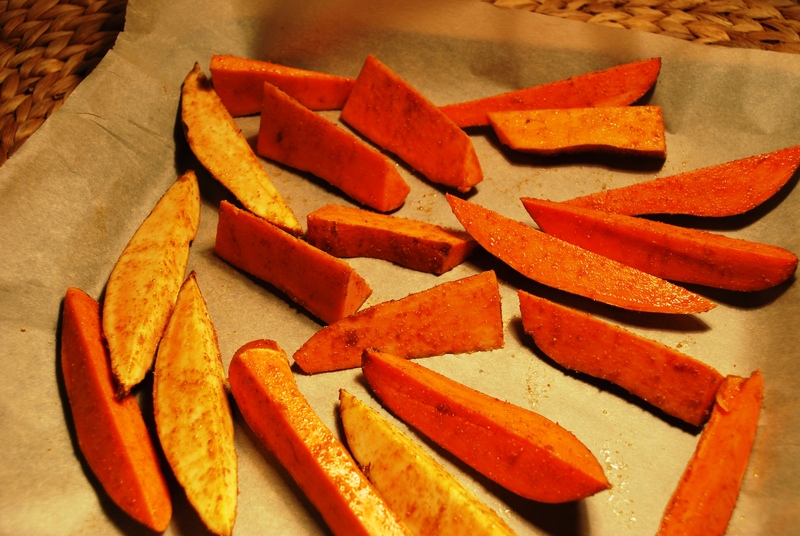 Add the sweet potatoes and brush them too with olive oil. Sprinkle salt and ground coriander on top. Bake in a preheated oven on 210 C or 400 F for 25 minutes. Chop the lemongrass very finely and mix with the other ingredients for the sauce. Let it mull while the sweet potatoes cook. When serving sprinkle chili and coriander on the sweet potatoes. Serve with the sauce on the side.